I have talked to many young ladies looking for windows to use at their wedding, and they always have awesome & creative ideas. 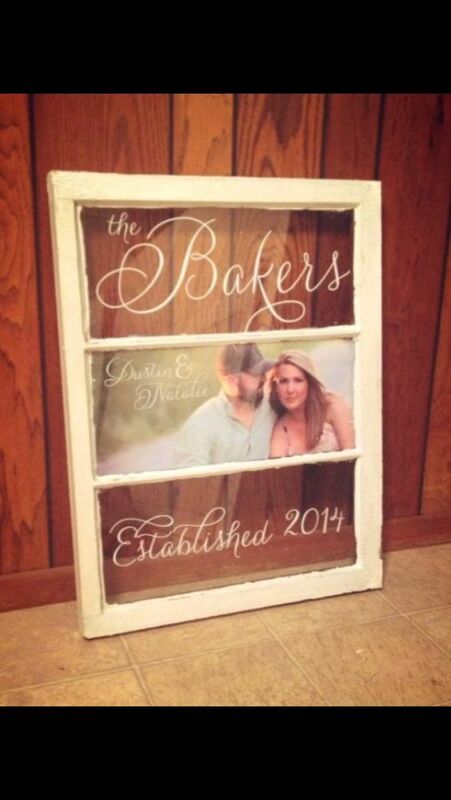 Here is an awesome idea for the new bride as a wedding gift, or even as an anniversary gift! How about a new baby?? The possibilities are endless! Have an awesome day! More soon, and we would love to see how you have used old windows!